This past week, Google Maps is launched with updates for both Android and iOS devices. The new version came with Android platform getting updated first then came the big update for iPad. Before this update Google Maps was only for iPhone, but now its available for iPad as well. So, what’s new in this much hyped version, let’s see. This version offers some excellent search and navigational tools for the national and international searches. Its been considered as the first dedicated iPad mapping experience. With full-screen visibility and optimised street view enables a great visualisation and you get to navigate with an ease. Let see some details on what feature can be really helpful for an traveler in real time. With great voice instructions this application navigate you turn by turn giving an insight of traffic ahead plus any constructions, accidents etc which may delay your travelling experience. 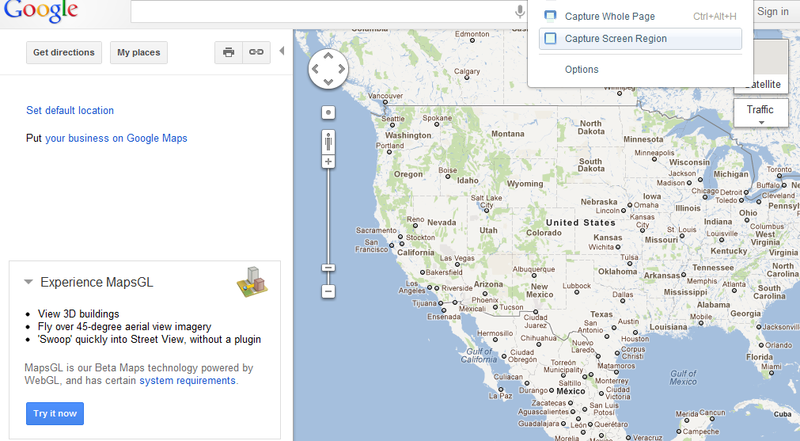 Google has another awesome feature which let users see the photos of a place you have just reached. You can actually get an deeper look of what will you see inside a popular place and the outdoor images with pretty good results. What if you reach your destination late? can anybody tell me prior about the trains and buses from an unknown place with reliability. Google maps has included this feature where you get al the schedules of local trains and buses from public transportation with more than 1 million stops around the globe. Getting to know about a place with all the information like popular food joints, drinking places and getting rest is now a click away from the Google map itself. All the things can now be seen directly onto the maps application. 5. Don’t know where to go ? Info cards is another addition which make use of information about bars, restaurant and cafes. With these cards you can just access the location map and go to these places with voice enabled navigation. Another tool i.e Explore can help tourists with many different options like popular joints, coffee shops, shopping mall, movie theatres, gymnasiums and hotels. You can also find feature with “Popular with Tourists” and moreover find your favourite cuisine nearby. With Zagat ratings and Google plus ratings you can find your friends favourite places and can only go to that places where they have visited and reviewed. With precise integration of Google Earth you can simply choose the option from the left menu. You will get info about popular destinations and sight seeing places at the bottom of the screen with a scroll feature. You can now get an firsthand look at an surrounding area with zoom in feature like Google earth location. Using the tools provided onscreen you can get pictures with tilt perspectives. With this feature you can get a preview of a location before going on it actually.